WHO IS THE 2018 BLACK LED ORGANIZING GIVING PROJECT? The 2018 Black-Led Giving Project is an all Black cohort of radical dreamers, non-profit leaders, youth mentors, fundraisers, social equity advocates, and educators from the fields of education, philanthropy, social and political organizing and more. We are impacted by unjust institutions and systems created to uphold white supremacy and motivated to fund change movements. We unite our strengths and talents to shift money and power to organizations that respond to our current inequitable system. Developing a collective understanding of how race and class interact with the system to produce disproportionate and unjust outcomes. Investing in the lives of impacted communities by making a meaningful, personal donation to the Black Led Organizing giving project. We recognize that we must work together, as a collective, to truly accomplish any of our goals. We would like to invite you to join us in this work. This giving project is the first of its kind in the way that all of the funds raised will explicitly be aimed at Black-led organizations who are creating programming that focuses on building power and creating systemic change for Black communities here in the Northwest. This grant will support community organizing work that addresses the intersections of race, class, gender, and other systems of oppression in the systems that disenfranchise low-income communities and particularly Black communities. We are currently reviewing grant applications from a variety of groups in Washington, Oregon and Montana. 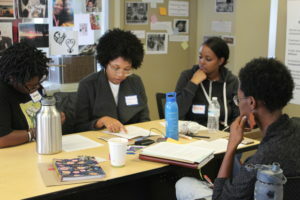 Examples of this work could include organizing that addresses youth homelessness, the lack of affordable housing, inequitable access to culturally relevant health and wellness programming, restorative justice alternatives to incarceration, immigrant and refugee crisis, inequitable access to education, mental health, and much more. 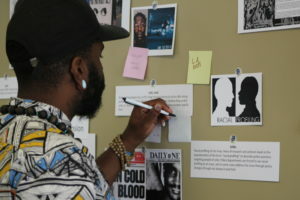 We invite proposals from organizations that are led and directed by Black people impacted by unjust systems and institutions, and who are working towards systemic change. Donate to our giving project to help fund crucial Black-Led work in our region. Donate at this LINK and put “Black-Led Giving Project” in the comments box. Contributions to Social Justice Fund’s Black-Led Giving Project are tax deductible. We accept donations by credit/debit card, electronic funds transfer, cash, check, stock, donor advised funds, and planned giving. Please go here for more information on how to give.